The only connections are to your power supply and to the track. 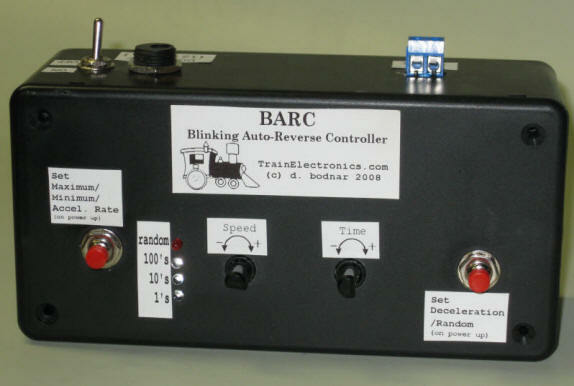 The microprocessor controlled Cruise Control board allows you to place a small engine or rail car behind another train. The IR sensors in the front of the car automatically keep it from running into the rear of the train in front. 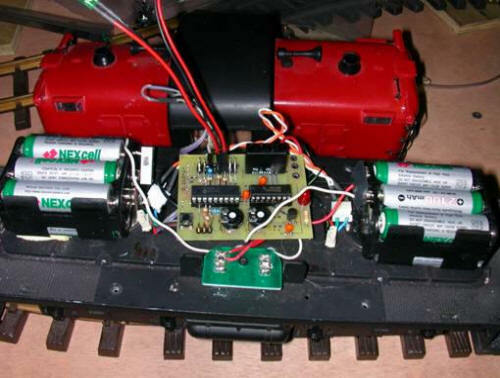 This sophisticated circuit and software allows you to control a battery operated engine so that it accelerates, runs a fixed distance and decelerates in response to detecting small magnets placed between the rails of the track. If you are looking for the best way to reliably sense the presence of a passing train look no farther! These optical sensors use pulsed IR. 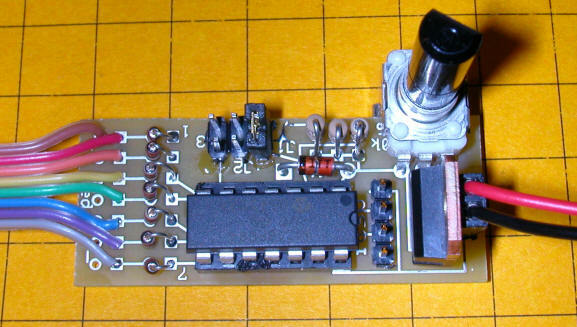 This is much more reliable than simple IR emitters / detector pairs which are effected by ambient IR that is around most layouts, especially those that are outside in a garden railway setting. The Lighthouse Beacon Controller uses a microprocessor to accurately reproduce the gradual brightening, brief flash and gradual dimming of a real lighthouse. It can be used to drive high-output LEDs or extremely bright halogen bulbs. If you would like to add a realistic flashing Morse Code Beacon to your railway this is the circuit for you. The microprocessor controlled beacon can be programmed by any computer that has a standard 9 pin serial port. Any message of up to 200 characters can be flashed out in Morse Code. 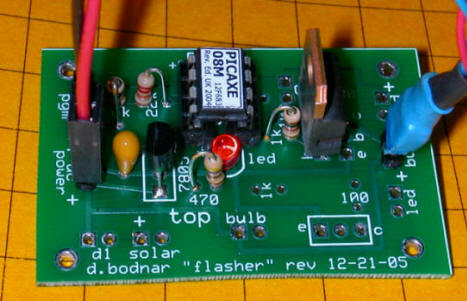 The circuit will directly drive either LEDs or simple incandescent bulbs. It can also drive sounders and/or buzzers if you would prefer an audible beacon. This circuit utilizes a microprocessor to simulate the unusual behavior of ditch lights that are installed on some railroads' engines. 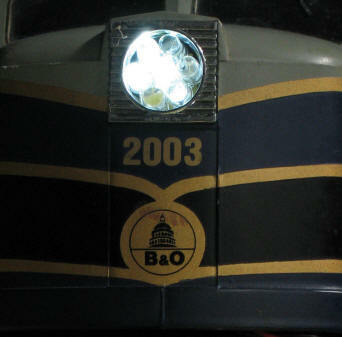 To make engines more visible than they would be with ditch lights that stay on steadily, one light brightens as the other dims. This is not the instantaneous change that would be created if one bulb was turned on as the other was turned off but a gradual dimming / brightening that can be adjusted by a potentiometer on the board. 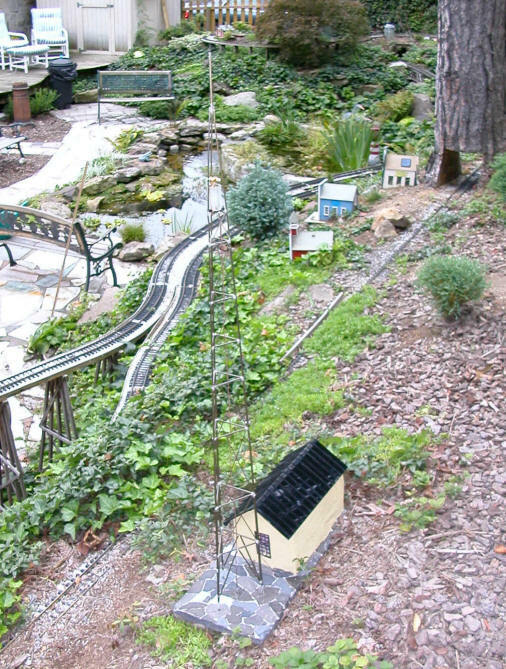 This circuit utilizes a microprocessor to simulate the unusual behavior of Mars lights that were installed on some railroads' engines several decades ago. To make engines more visible the Mars light would rotate in a horizontal "8" pattern shining left, then center, then right and repeating. The unit is available as a kit or completely assembled and tested.